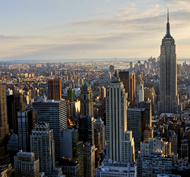 This Tour is designed for those who wish to enjoy a Tour on their day of Departure from New York City. You are invited to select either the ‘LOWER MANHATTAN TOUR’ or the ‘UPPER MANHATTAN TOUR’, or select from the Tours we offer to see which one appeals to you most. Our most popular Tour is the ‘LOWER MANHATTAN TOUR’. However, you are invited to enjoy the sites and Neighborhoods of ‘UPPER MANHATTAN’, as well. It’s all up to you! The ‘Day of Departure Tour’ is usually a 4 Hour Tour, depending on how many stops you desire to make, and usually can be extended if you so desire. All our Tours are Specifically Designed for you! No two Tours are alike as all our Guests have different interests. If you wish to have lunch or enjoy a snack while on Tour, arrangements can be made. Pick-Up is usually at your Hotel. However, your Pick-Up location can be a Coffee Shop, Restaurant, Neighborhood, Broadway Show, or wherever you desire. We will call you before your Tour begins to find out where you wish to begin your Tour. Drop-Off can be at your Departing Airport; or Train Station. Or if time allows following your Tour, Drop-Off can be in a Neighborhood where you may wish to Shop, browse or enjoy a lunch. And then when it’s time for you to depart for your Airport, or Train Station, you will retrieve your luggage from your Hotel, and the Doorman will Hail you a Taxi for your ride to the Airport or Train Station. It’s up to how long you wish to Tour, and your departing flight schedule. Our Tours are all about you! Your Tour will begin by your Driver/Tour Guide asking questions such as: “How many times have you visited New York City? What have you seen thus far during your visit? What is it that is most important for you to see and do?” Then, we point out on a New York City Map the Geographical Layout of Manhattan, the Boroughs, and Neighborhoods. And then we customize a Tour specifically designed for you and your interests. If you have a list of Sites, Stores, and Neighborhoods you wish to visit, we are glad to accommodate your wishes. Our Tours are flexible to meet your desires for what you wish to see and do. If you are already familiar with some of the Neighborhoods on this Tour, we’ll make substitutions of other Neighborhoods, during your Tour. Throughout your Tour we will point out on the Map specifically where we are located in respect to your Hotel so you fully understand where Neighborhoods and places of interest, are located. During your Tour we’ll point out the contrast in Architecture from Neighborhood to Neighborhood, which makes New York City so unique and interesting, as no two Neighborhoods are exactly alike. We’ll also recommend local restaurants within each Neighborhood where you may consider dining before you depart the City. We’re glad to make reservations for you, as well. If at any time you wish to enter a Store, Deli, or get out of your Tour vehicle to take photographs, Shop or browse, you are welcome to do so. We highly encourage bringing your camera, as there are so many photogenic buildings and sites throughout the City. All of our Enthusiastic, Entertaining and Knowledgeable Drivers are Licensed NYC Tour Guides, and English is their Native Language. (Foreign Language Tours can be arranged). Please allow us the privilege of Touring you and your group throughout the great City of New York!